Hey everyone! So here we are in the second week of the Halloween month, and what better animal to talk about than the bat. People are so freaked out about bats, and the movies making them seem like blood-sucking, attacking death machines, doesn’t help their reputation either. Bats are very interesting and helpful animals. They are the only true flying mammal in the world (using their own power, and not a plane or helicopter)! Any other mammal that has “flying” in its name (such as the flying squirrel) actually only glides and cannot fly. They are mammals, and not birds, since they have fur instead of feathers, are warm-blooded, and have live birth (no egg laying). There are over 900 species of bats in the world (some sources have stated more than 1000). There are more than 40 species of bats in the United States. Bats make up the second largest order of mammals in the world (rodents have the largest number of species). 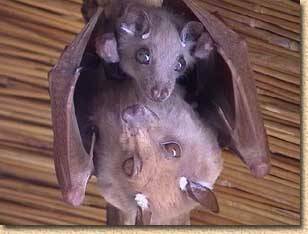 They tend to be grouped into two categories; the megabats and the microbats. Megabats usually are the fruit eating bats, and are much larger than the microbats. Another name for the megabats are “flying foxes.” This is because they have very fox-like faces. Microbats are usually the insect eating bats. Bats can range in size. Going by length; the largest in the world is the Golden-crowned flying fox. It has a wingspan of up to 5 1/2 feet long, and a body length of about 22 inches long. 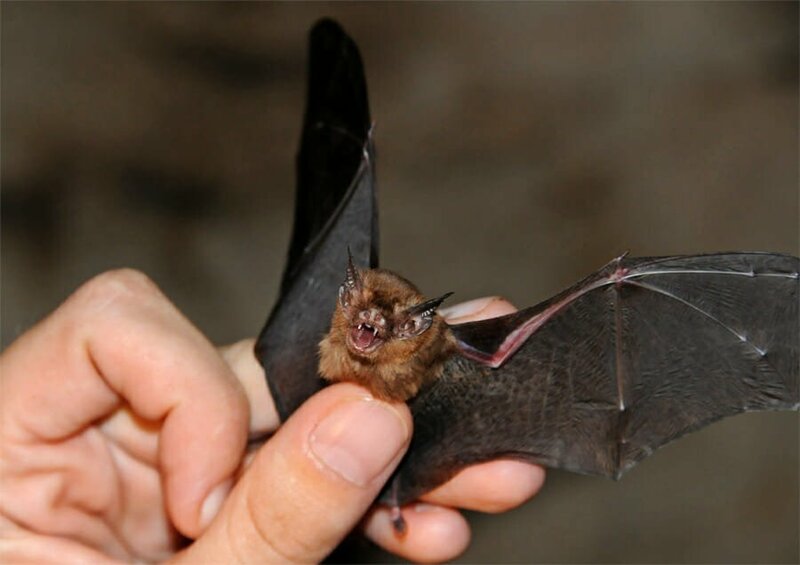 The smallest bat in the world is the Kitti’s hog-nosed bat (also known as the bumblebee bat). It has a wingspan of 0.8-1.0 inches and a body length of 1.1-1.3 inches. Bats, as a species, eat a variety of food. The majority of bat species in the world eat insects. There are other species that eat fruit, some eat nectar, some eat small animals like lizards and frogs, and some even eat fish. There is, of course, the bats that drink blood. Now don’t freak out on me. These vampire bats don’t attack and drain a person of all their blood. Actually, there are only 3 species of vampire bats in the world, and 2 of them drink the blood of birds. Only 1 species of vampire bats drinks mammal blood, and they prefer cows and pigs over people. They also don’t actually drain all the blood from the animal. They prick it slightly (even the animal doesn’t know it’s been bitten), and they drink the blood that drips from the bite mark, so they aren’t actually sucking the blood. Insect eating bats use echolocation to locate the flying insects. The bats put out a high pitch sound, too high for humans to hear. The sound bounces off of objects and animals, and then returns to the bats. Bats can detect how big the object is, where the object is, the shape of the object, how fast the object is moving, and in what direction the object is moving. 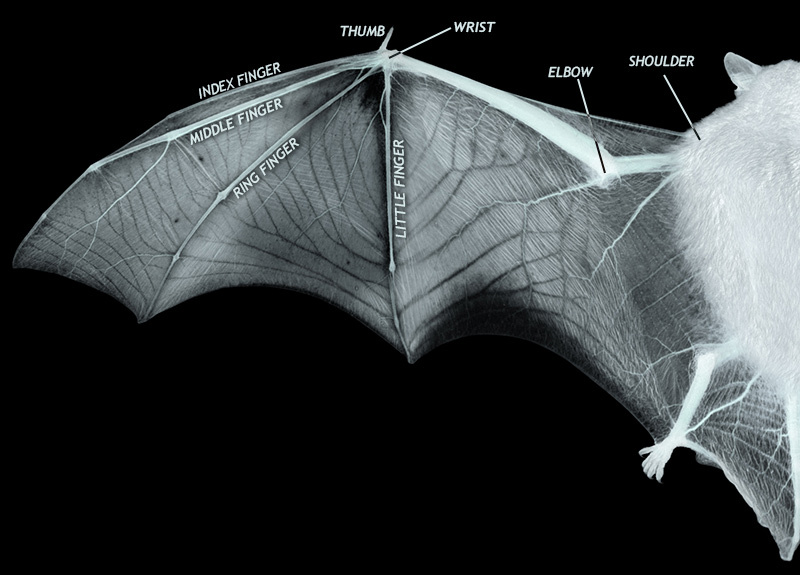 Bats can even detect something as small as a spider web thread with their echolocation! Insect eating bats, depending on the species, can eat 600-1000 mosquitoes in one hour! Bats are also known to eat bugs that are harmful to agricultural plants. Fruit and nectar eating bats pollinate the plants, and disperse seeds. In fact, some plants are specifically pollinated by bats and nothing else (like the Baobab Tree in Africa). Bats tend to only have 1 or 2 young (pups) a year, and some bat species can live up to 30 years. This leads to a slow recovery rate if something happens to the population. The main cause of bat populations decreasing is from people. Either people persecuting the bats and destroying them or their homes, or by people disturbing the bats during hibernation. If a bat wakes up during hibernation, it uses fat reserves that would otherwise allow it to survive the winter, and since there are no insects flying around in the winter for the bat to replenish those fat reserves, it cannot survive the cold temperatures. This is why some caves have been blocked off from people being able to go in them. We also destroy their food by using pesticides. There is another cause for some bat species in Canada and the United States being on the decline. White nose syndrome is an epidemic affecting some species. It causes a fungal growth on the parts with membrane tissue, like the nose, ears, and wings. This fungus shows up in the winter time when the bats are hibernating. The fungus causes the bats to wake up more during their hibernation, which we already mentioned, causes them to not survive the winter. It is spread quickly from bat to bat, and can decimate an entire colony in one winter. It is thought to have spread from cave to cave by equipment that was not properly cleaned and disinfected, either from cavers (spelunkers) or scientists. Some colonies have suffered a 90-100% mortality rate. So, leave bats alone when they are hibernating, and let them sleep in peace! Till next week for the next scary critter! The more knowledge you have, the less scary the world becomes. Keep going outside and gaining more knowledge!